When I first showed up at Capital FM for work I didn’t know what to expect but I knew what I wanted. I wanted to learn how to be successful. 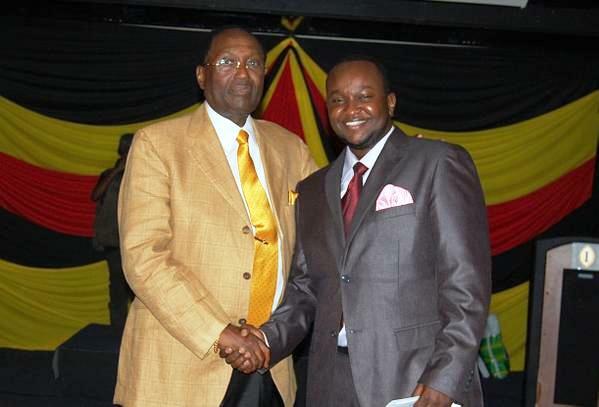 In my mind, there was only one man who I could learn this from, Chris Kirubi. This part of my life story started 5 years before when I was working for Tedd Josiah. He is one of the most iconic Kenyan music producers from whom I had learned invaluable lessons that I still apply today. It so happened that one day we were cleaning the studio offices at Blu Zebra Records, a card fell out of a magazine stack. On picking it up, I noticed that it was no ordinary card. It was ivory in color and it had an emblem that was embossed on the card’s surface in some sort of waxy print. It looked sophisticated and the texture gave off a rather luxurious feel to it. The name on the card read Chris Kirubi and the details were arranged in a simple and neat manner that was laid-back-confident. The name was familiar, I knew this was one of the top businessmen in the country. I held on to the card and went about researching all I could about his empire and what kind of man he was. In my quest to know about him I couldn’t differentiate what information was true and what was myth. In the end, I decided I would meet him one day and find out why he was successful. Fast forward 5 years later, I was seated at the Capital FM reception waiting to be interviewed for a graphic designer position by the then Marketing Manager Angelique Bennaars. She took me in for the interview and later told me I had had been accepted into the company and that I was to start immediately as an apprentice under one Mark Mwera. I was led to my workstation that was tucked away in a corner. It was stuffy and hot, but it was where I got my first lesson from ‘Chairman’ as everyone at the station calls him. You see, CK has a habit of always visiting his businesses without notice and you would be surprised to know that he knows all his employees personally. On my first day as he was passing my corner on his way to the studio, he stopped and looked at me and asked me, “Who the hell are you and why are you using my machine?” I was dumbfounded, and for a moment I didn’t know what to say. “I’m the new designer…” I replied in a scared voice. He came over and ordered me to leave my machine and get off the premises because he didn’t know who I was. Anyway, this scene replayed over the next few days until he realized I wasn’t going anywhere and so he let me stay and work. He warned me that he would throw me out the window from the 19th floor if I didn’t work hard and deliver outstanding work. In the end, I got to understand the concept behind his actions because this is how he runs his empire. He makes an effort to know his people. From that time, he never forgot my name and made it a point to know what my life goals were. To date he remembers I told him I would accomplish more than he ever did [the challenge is still on]. I also realized that the man knows everyone who works for him, be it in his corporate businesses or even manufacturing plants. It’s hard to find an employee in any Kirubi’s companies who hasn’t interacted with the Chairman. As a result, I have learnt that as a leader when you make an effort to personally know the people working for you, what you get in return is a sense of ownership towards your organization by employees. One feels motivated to perform when you know that your boss knows you personally and appreciates the role you play. Once we were having dinner in a posh restaurant and the waiter brought us a certain brand of bottled water which visibly offended CK. You see, CK is a shareholder of Nairobi Bottlers, a bottling franchise of the Coca-Cola Company which makes bottled water known as Dasani™. The water the waiter had served us was another brand that was a competitor and CK’s loyalty to his brand is the reason why he was offended. Anyway, he went on to ensure that the restaurant changed their brand of drinking water by selling the Dasani™ brand to the restaurant owner. The condition he gave was simple; if he was to dine in that restaurant again they had to be his customers first. It was the ultimate statement of loyalty in business.